Please give what you can to this fundraising event which coincides with the 20th Anniversary of Jack Irwin passing away, the little boy whose home nursing care plan became the blueprint for 2,200 children in every county throughout Ireland. 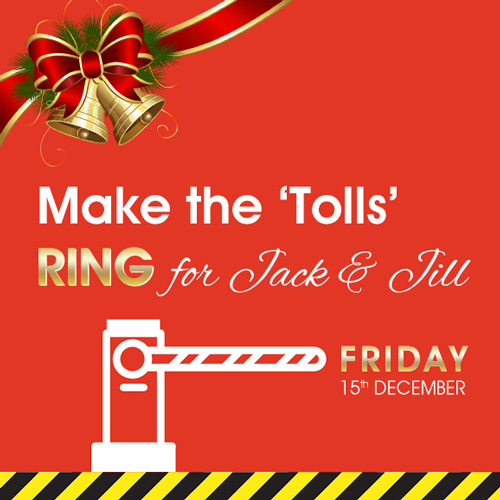 Our sincere thanks to the Toll Plaza companies, Eurolink, Celtic Roads Group, Direct Route and N6 Concession Ltd. who have made this campaign possible. Thank you for sharing this page and for helping us spread the word to raise much needed funding to bring our children home this Christmas!